The sun broke through the clouds and just before I crossed the street I caught this image. 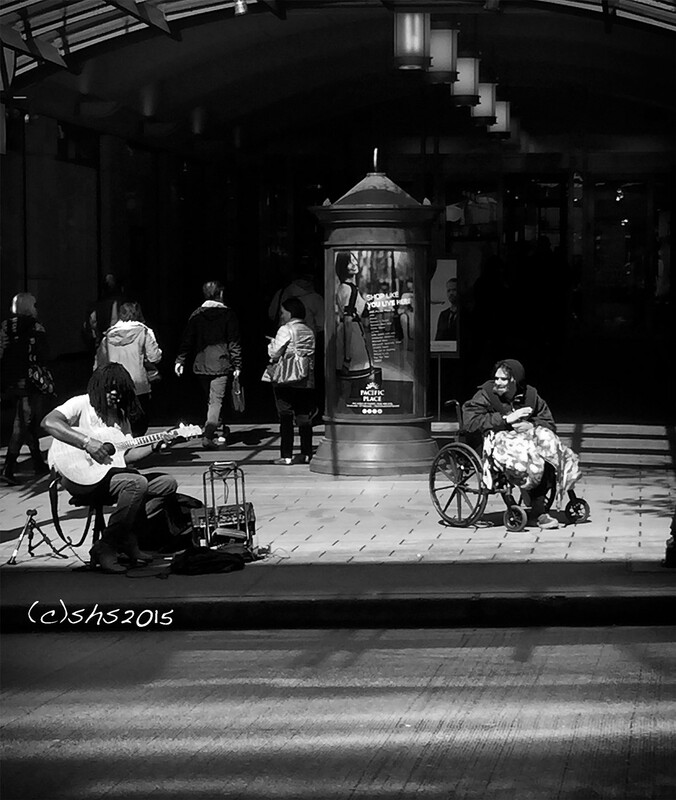 A homeless man in downtown Seattle listening the the music of a busker. This week’s entry for my black and white photograph challenge. This entry was posted in Black and White Photography Challenge, photography. Bookmark the permalink.